I have a friend named Tony who has been steadily working out for the better part of the past two years. A disciplined routine of hitting the gym at least every other day is now the norm for him. My friend has also significantly changed his diet to reduce his intake of saturated fats, salt and sugar. And, to be quite honest, the results have been quite impressive. Tony appears more toned and muscular. Not to mention, he says that feels better physically as well. Having admitted that he never felt so good before, my friend believes that he is probably in the best shape of his life. So why isn’t he completely happy with his new body? Excess fat, he says. Taking a look at him makes it hard to imagine that he has any body fat at all. Now you may not be able to notice it with his shirt on, Tony insists, but it’s there. He explains that although his workout routine and diet have helped him to shed a few pounds and tone up, there is still some stubborn fat around his midsection. The love handles haven’t completely disappeared and especially after a meal, Tony thinks that he simply looks pudgy. What he is experiencing is not that uncommon. In fact, stubborn fat is aptly named because many people experience the appearance of love handles and other types of excess fat in the midsection, no matter how hard they work out. Don’t worry, you’re not going crazy if this is happening to you. There are a number of factors at play that cause stubborn fat. 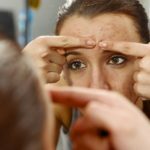 As Bodybuilding.com explains it, one of the reasons our bodies store fat in certain areas is receptor density. It’s like a lock that a key fits into. In other words, areas of the body where stubborn fat is stored have a high density of what is known as alpha2 receptors. They are anti-lipolytic, which means that it is harder for the fat to break down. The key doesn’t fit here, I guess. By contrast, alpha1 and beta-receptors are lipolytic. They aid in the breaking down of fat. I suppose it’s like finding the right key for the right lock. 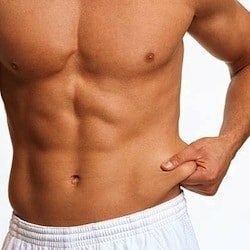 So, for people like Tony who are not terribly overweight, but do suffer from areas of stubborn fat, there is a very cool solution. CoolSculpting is a revolutionary procedure that breaks down fat cells by freezing them to the point where the body naturally disposes of them. This procedure requires no cutting, anesthesia or needles. We are definitely not talking about liposuction here. CoolSculpting is so much safer and effective. 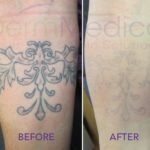 As its website points out, the treatment is, in fact, clinically proven, FDA-cleared, totally non-surgical and without any downtime. It’s hard to know where to begin with all of the benefits that it provides. The bottom line is if you are looking to contour your body to the shape you’ve always wanted, CoolSculpting is a procedure that can help you achieve it. Since there are no incisions, you will experience no scarring. And since it’s not any type of major surgery, you can have a treatment done on your lunch hour! Learn more about CoolSculpting by contacting DermMedica toll free at 1-866-861-3070.